Circumstances change and expectations should change accordingly. 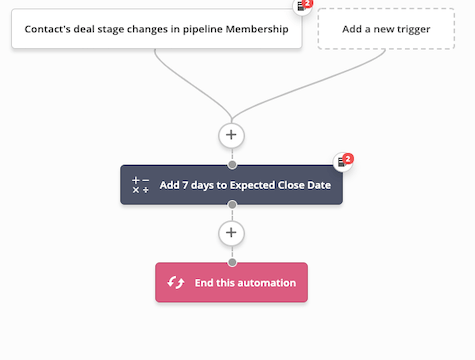 Adjust your expected close date on a deal when they move between stages using the Math action. You can make this as general or specific as you want to. Before importing, build a custom date deal field.